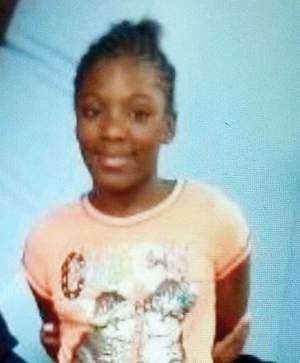 11 year old Nautaysha Tarver has been missing since Thursday afternoon, April 11, 2013 in Detroit. MI. According to the Detroit Free Press, Nautaysha Tarver was last seen by her younger brother around 3 p.m. on Thursday as she walked on Lappin and Crusade. Tarver told her brother that she was going back to school, in the 15600 block of E. Seven Mile for detention. However, when the mother arrived at the school at 4:30 pm to pick her daughter up, she was not there. One needs to first ask the question of the school whether missing Nautaysha Tarver was ever at the school serving detention? It does seem a bit odd for someone to leave school and then return for detention. Normally one would serve the detention directly after school ends. And if so, did they actually allow her to leave by herself or is it the school’s policy to let students just leave on their own without being picked up by an adult on record with the school? Tarver is 4’-ll.” She weighs 110-115 pounds and has a medium brown complexion, medium length black hair and brown eyes. She was last seen wearing a black knitted hat, green shirt, tan pants, a rust-colored, waist-length jacket and turquoise, white and purple athletic shoes, police said. She is emotionally impaired and takes medication. UPDATE I: Nautaysha Tarver found safe at friends house.